The party can’t last forever. It should come as little surprise that extremely powerful internal combustion engines like Bugatti’s quad-turbocharged 8.0-liter W16 are . Every automaker, large and small, sees the writing on the wall (or in new government regulations). So what to do? Adapt. Ferrari, Porsche, and McLaren has already previewed future technologies that not only offer lots of power but also greatly improved efficiency. But what about Bugatti? Will it develop a hybrid powertrain? Go all-electric? Something else? 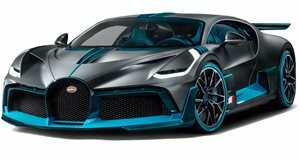 The answers remain unknown for now, but what is known is that Bugatti will be forced to kill the 1,500 hp W16 because of new regulations. And there you have it, directly from Winkelmann, the guy who calls the shots at Bugatti. The Chiron, as well as the Divo and any near future variants of the two, are the end of an era that began with the Veyron. So the big question for Bugatti is what will replace the W16? The most likely successor is hybridization. 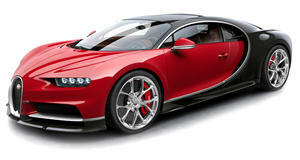 An all-electric Bugatti is likely several years away, mainly due to the still relatively high weight of batteries. A hybrid powertrain, therefore, will likely offer the best near-term solution. Electric motors could easily power the turbos, for example. Or, alternatively, a turbo gasoline engine could power one set of wheels and electric motors the remaining two. There are many methods to deliver over 1,500 hp aside from pure electric. Come 2020 the all- is slated to arrive and it could easily be the game changer that will force Bugatti to use batteries only.